Yayyyyy!!! The day has finally arrived! It’s release day for Technique Tuesday. They are releasing 4 clear stamps and 8 crafting die! I’m back again with Technique Tuesday Funny Fruit stamp set!! I had fun creating with it yesterday, that I wanted to create another clean and simple card using this set. Die cut the card base using Neat & Tangled Scalloped die. Use the Misti to stamp the pears and the sentiment at the same time. Color the pears using Tombow Recycled Color Pencils. Done! Talk about fast, that was 1-2-3! Hello everyone and welcome to Altenew’s May 2018 Release Blog Hop!! Today we are showcasing all of the new Stamps and Dies. If you arrived here from the talented Laurie Willison blog, then you are on the right track. If you arrived here on your own, then you will want to start at the beginning, the Altenew Card Blog so that you don’t miss a thing! I love Altenew new Main Squeeze stamp set. It is perfect for my recent mishap at work. My coworker dropped a table. She asked another coworker and myself to help her pick it. It’s a heavy steel table. While we were picking it up, the other coworker didn’t have a grip on it and let it go on my foot. Such luck, right?! The top of my left foot is fractured. This stamp set reminds me to really look at the good in this painful situation. I get to stay home and craft more, LOL!!! Pick a patterned paper from the Reflection Scrapbook Collection Kit and adhere it to the 8 x 8 piece of We R Memory Keepers Cinch Chipboard using Altenew Glue Tape. Stamp the medium lemon randomly on the patterned paper using Altenew Embossing Ink. Stamp the one of the sentiments on the picture using Stazon Ink. 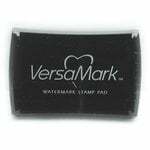 Sprinkle Altenew Translucent Pearl Embossing Powder over the stamped image, then heat set it. Die cut Altenew Fine Alphabet Die Set out of black cardstock for the layout title. Using a ruler, adhere the title to the layout using Tombow Mono Liquid Glue. Since the die set doesn’t come with punctuation marks, use the question mark from the Reflection Scrapbook Collection Puffy Stickers. Randomly place thread on the layout and adhere the photo on top. Add a couple of enamel dots for additional texture. Use We R Memory Keepers Typecast to add journaling to the layout. 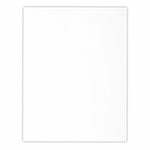 Adhere the journaling block to the layout and done! Altenew is giving away a $50 gift certificate to SIX lucky winners! Please leave a comment on the Altenew Card Blog and/or Altenew Scrapbook Blog by Friday, May 25th at 11:59pm EDT for a chance to win. The winners will be announced on the Altenew Card Blog and Altenew Scrapbook Blog on Sunday, May 27, 2018. In addition I have a $30 gift certificate to giveaway from comments left on this post by Friday, May 26th at 11:59pm EDT for a chance to win. The winner will be announced on Saturday, May 27th, 2018. Hello everyone!! I’m here today to show you how to create texture using a die cut from Technique Tuesday By the Numbers Crafting Die. I love this By the Numbers die! It’s bold and full of space in between the numbers. Creating this card was simple. 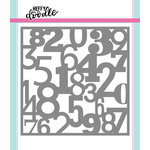 Simple die cut the numbers die 3 times out of white cardstock. Then cut a 4th piece out of We R Memory Keepers Urban Chic patterned paper. Adhere them all together using Tombow Mono Liquid Adhesive. 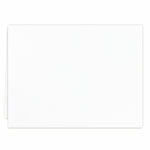 Cut the Neenah Solar White card base to 4.25 by 11 scored at 5.5. Cut a second piece of the same Urban Chic patterned paper to 4.25 by 5.5 and adhere it to the top of the card base. 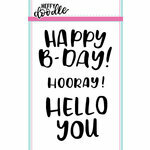 Line the die cut numbers strips with the stripes on the card base and adhere. To finish the card off, stamp the sentiment from Technique Tuesday Flowers For Mom stamp set inside using Versamark Ink. Sprinkle Altenew Pure White Embossing Power on top and heat set it. The font for this sentiment is my favorite. It’s bouncy and playful. It goes will with the front of the card. What do you think? Will you try adding some texture to your card front? I would love to see what you create! Hello everyone and welcome to Altenew’s January 2018 Release Blog Hop!! Today we are showcasing the all of the new Dies. If you’ve arrived here from the talented Galina Filippenko blog, then you are on the right track. If you arrived here on your own, then you will want to start at the beginning, the Altenew Card Blog so that you don’t miss a thing! Back in December, I went to a Whole Food for lunch during a workshop I participated in Brooklyn. It was the closest place to eat so why not. I first stopped at the salad bar but thought it was to cold outside to eat salad. I notice they had a soup bar so I shared out a bowl of chicken noodle soup. I wan’t happy about it but there wasn’t anything I could do until I saw the Pop-Up Ramon Bar. Right away I thought yes, this is going to be so good. I looked at the price and saw that the veggie soup was $8. Great, I can swing that. I asked for extra bean spouts and onions. The chief fixed me a nice soup. He handed me the soup and I walked to the counter. The lady said $33.96, I almost went to the bathroom on myself. WHAT did you say? $33.96 for a soup? I played it cool and pulled out my credit card and paid for this meal that should’ve cost me no more then $10. Despite the huge price tag, this meal was good. LOL!!! For this layout, I’m using the new Simple Alpha Die!! The shape of these letters are perfect for scrapbooking. They create an amazing title which is what I created above. I used Altenew’s Mini Blossom Die and a piece of scrapbook paper from the Reflection Scrapbook Collection to cut out all of the letters for the title. 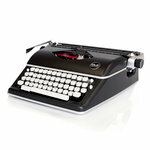 I used my We R Memory Keepers Typewriter to type the smaller title. I secured each letter to the base page with foam tape so that they are raised higher then the photos. Altenew is giving away a $50 gift certificate to SIX lucky winners! Please leave a comment on the Altenew Scrapbook Blog by Friday, January 15th at 11:59pm EDT for a chance to win. 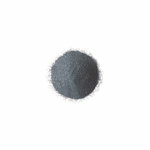 The winners will be announced on the Altenew Card Blog and Altenew Scrapbook Blog on Wednesday, January 17th. In addition I have a $30 gift certificate to giveaway from comments left on this post by Friday, January 15th at 11:59pm EDT for a chance to win. For this card, I used Neat & Tangled Big Hugs die and yellow craft foam to create this super clean and simple card. I used Altenew’s new Mini Blossom die cutting machine to cut out this perfect sentiment. 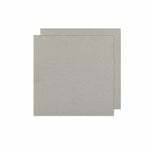 Use We R Memory Keepers Envelope Punch Board to round all four corners. Hello everyone!!! I’m here today with another Clean and Simple Cue Card for the CASology Challenge!! I’m a bit late to the party but better late then never. Besides my new die arrived and I had to join in. LOL!! For this card, I just die cut the square card out using Papertrey Ink Noted: Scalloped Square Die out of Bazzill cardstock that was in the August Gossamer Blue Scrapbook Kit. I used Taylored Expression Puff Alpha stamp set to stamp the sentiment in the bottom right hand corner of the card using Altenew Black Ink. Nice, simple and easy. What do you think? I hope this encourages you to join in. You have until tomorrow, September 4, 2017 at Noon (CDT) to enter!! Hurry you do not want to miss it.